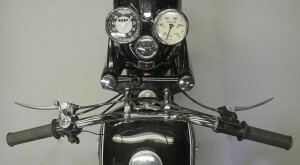 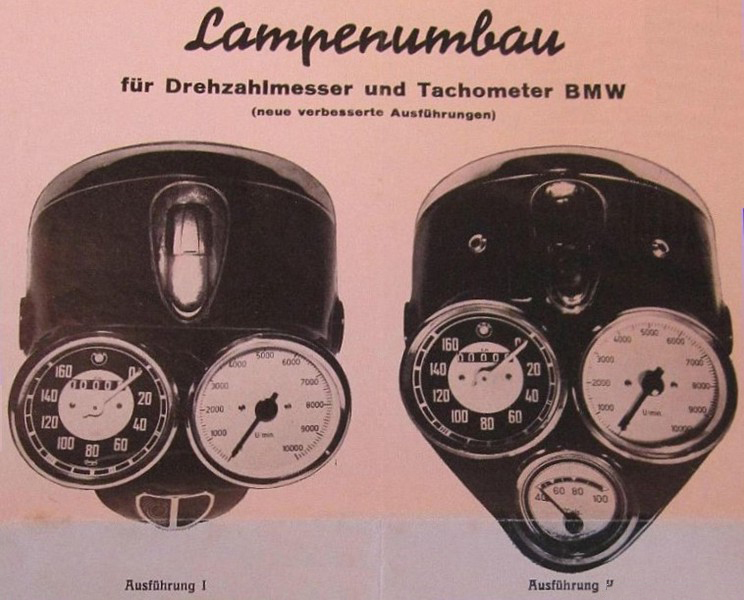 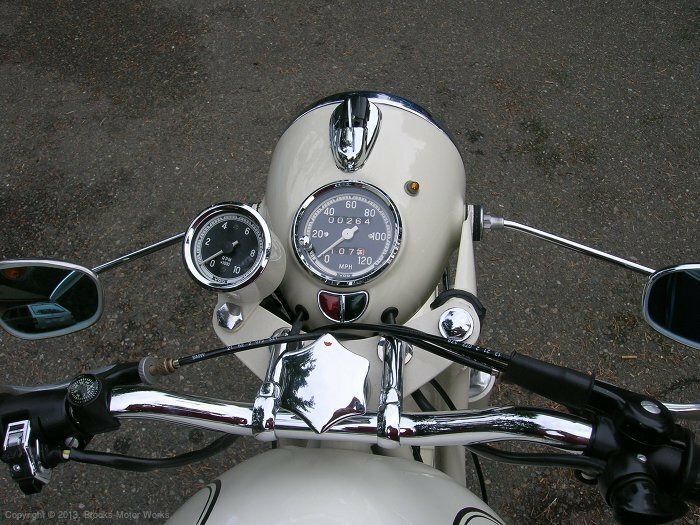 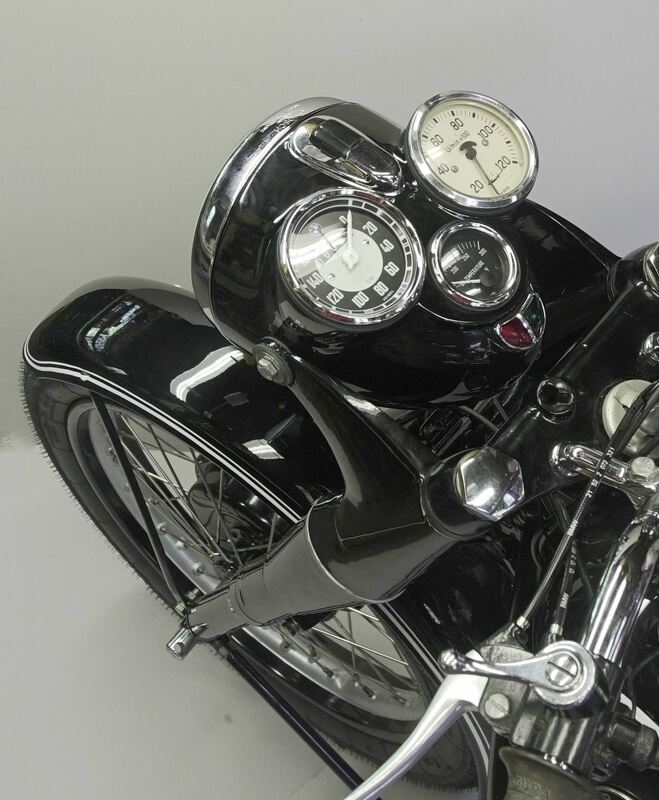 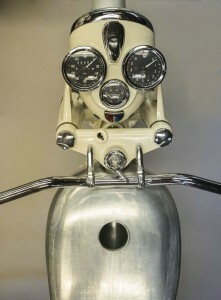 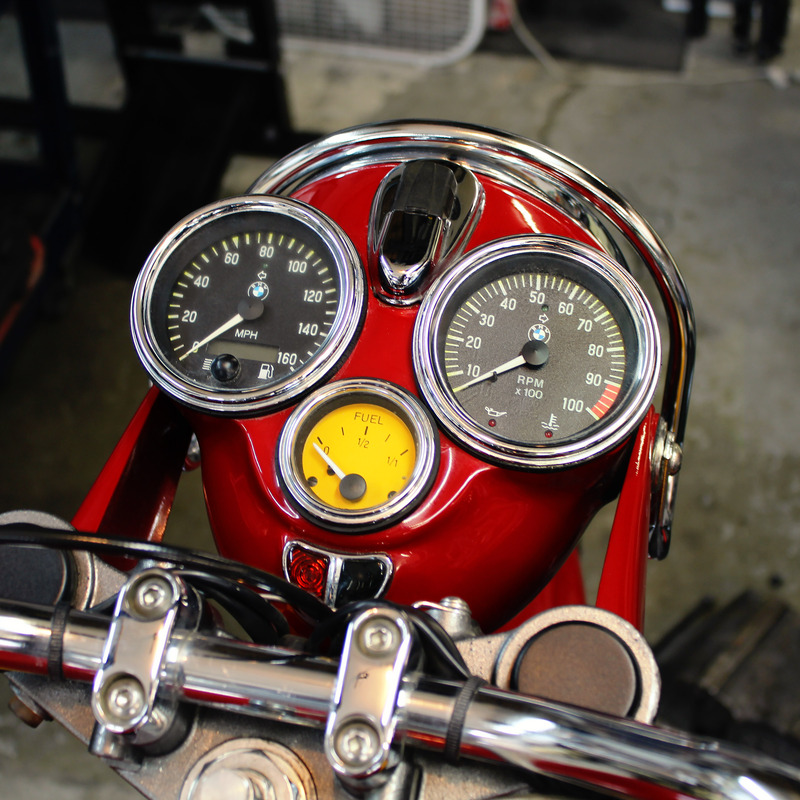 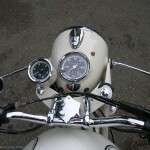 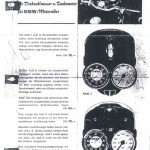 Back in the 1950's a machine builder from Germany named W. Rauch modified the headlight shell of the /2 Earles Fork series of BMW's to accommodate two full-size 80mm gauges. 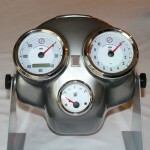 He also made a second model to hold three gauges, two 80mm and one 40mm. 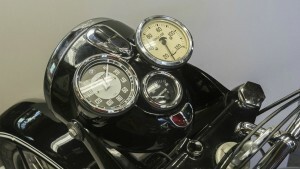 At the time, the standard was one 80mm speedometer in the shell, and a smaller, 66mm tachometer mounted on one of the top triple clamp to stanchion bolts. 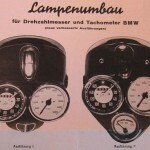 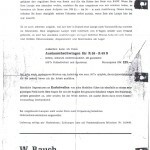 The Rauch Lampenumbau was an instant hit, and the people rejoiced. 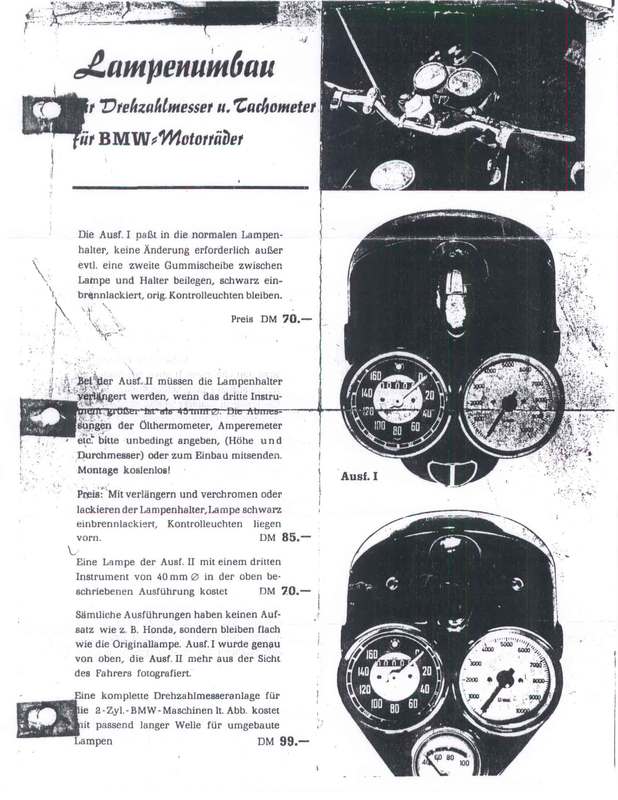 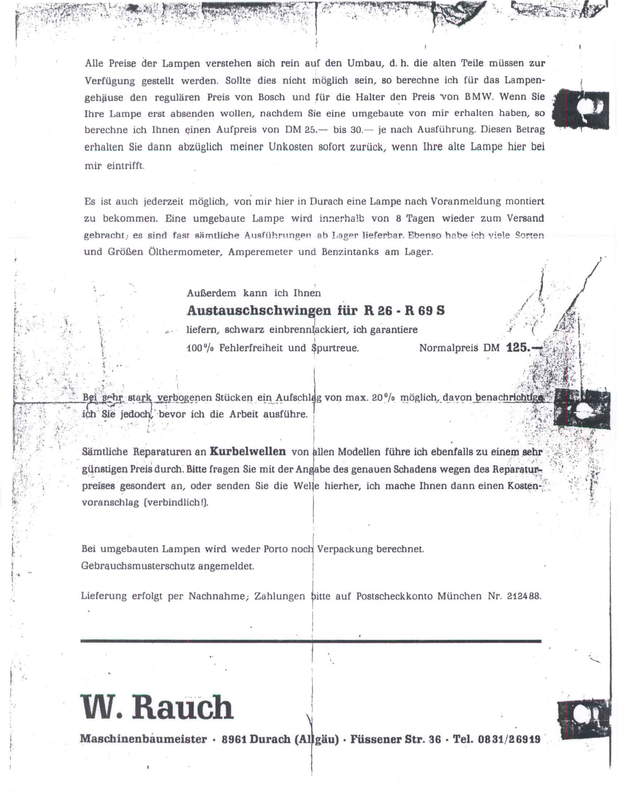 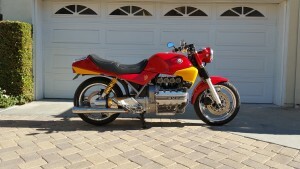 Herr Rauch solved a problem the BMW community never knew it had, though truth be told, the shells were crudely made. The modified sheet metal housing was soldered onto the original shell, the large gauges tilted away from each other and the fit and finish were less than Concours d' Elegance level. 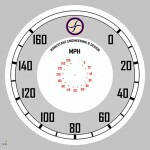 More egregious, when the third gauge was added, the iconic red/green Generator/Neutral indicator crescent was eliminated. 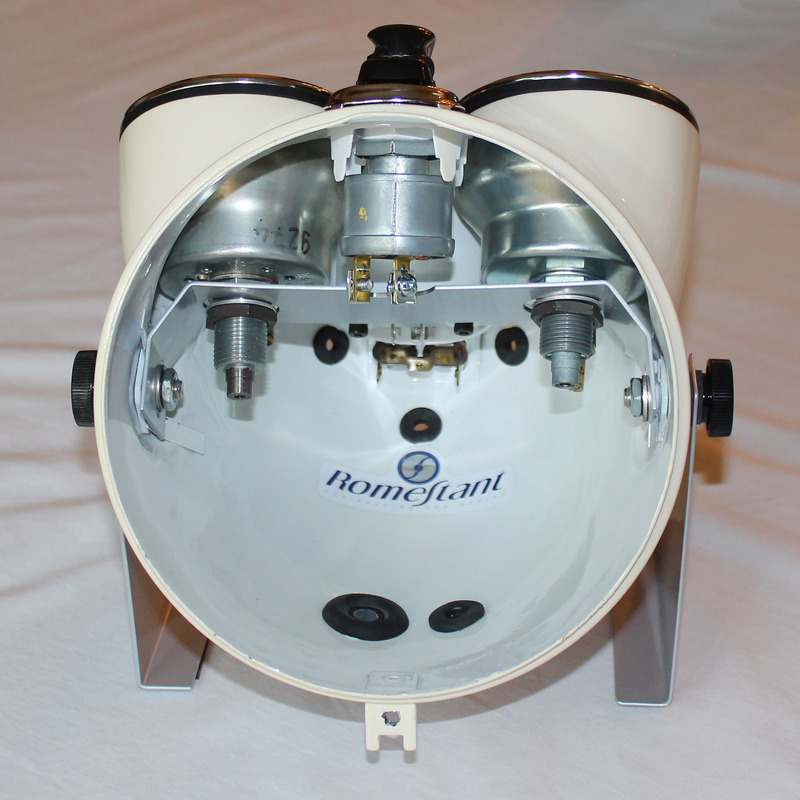 Allow me to introduce you to the Romestant Nacelle. 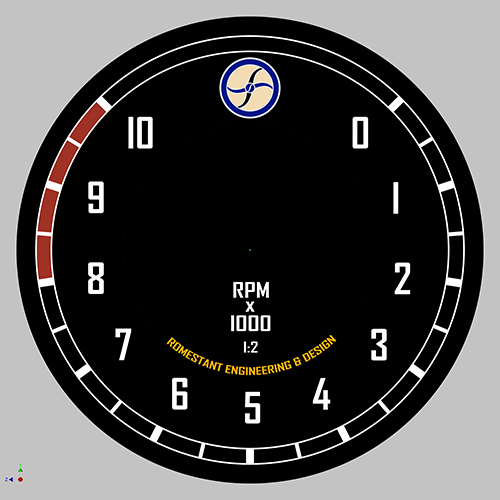 I designed the nacelle to facilitate three gauges, two 3/38" or 80mm diameter, and one 2 1/6" diameter, without losing the charming Red/Green crescent. 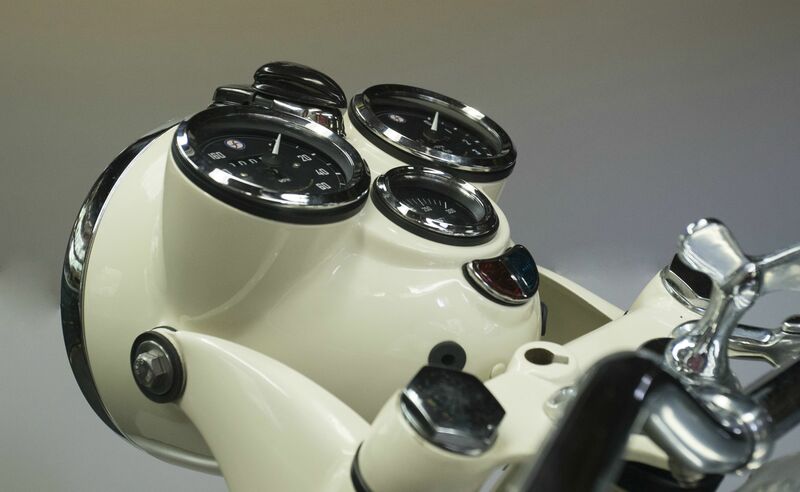 The 16 gauge (.060" thick) steel gauge pods are penetration-welded into the shell after being carefully hand fitted to the shell's teardrop contour. The result is a shell with beautifully blended weld seams, so much so the shell is suitable for electroplating. Each shell is hand-crafted and one-of-a-kind, serialized and cataloged. The shells are offered either in epoxy primer or fully painted. The inside of each shell receives gloss white powder-coating. 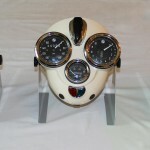 The white interior makes it easier to see what you are doing inside, attaching wires, mounting the gauges, etc. The shells are not just for BMWs, but of universal appeal. 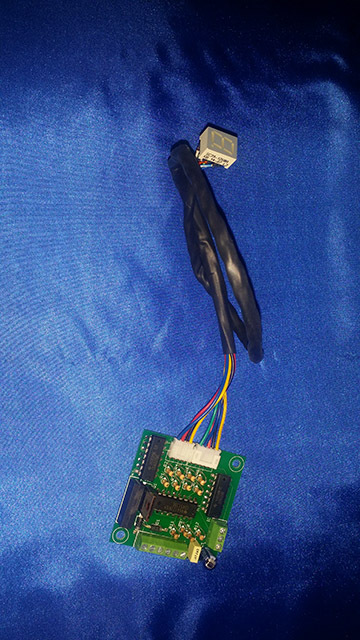 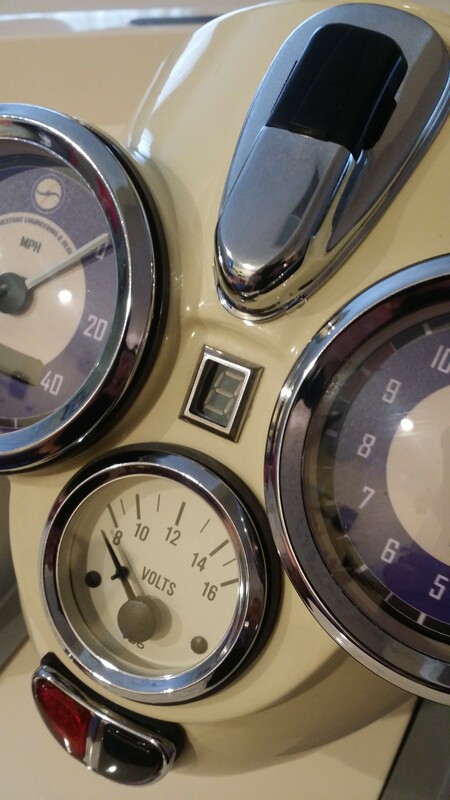 Because the location of the gauge pods it is not possible to use the standard old-school terminal board and ignition switch, so a high quality, 3 position ignition switch is included. 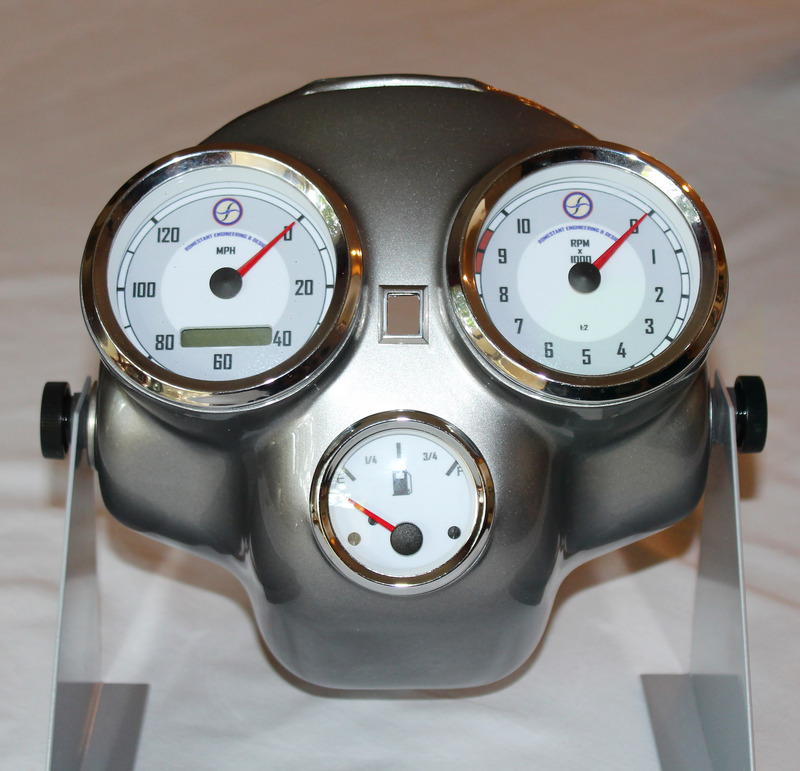 A precision formed powder-coated gauge mounting bracket and all required hardware is included with each shell, suitable for mounting original early long-stem cable-driven gauges as well as modern digital and electric gauges. 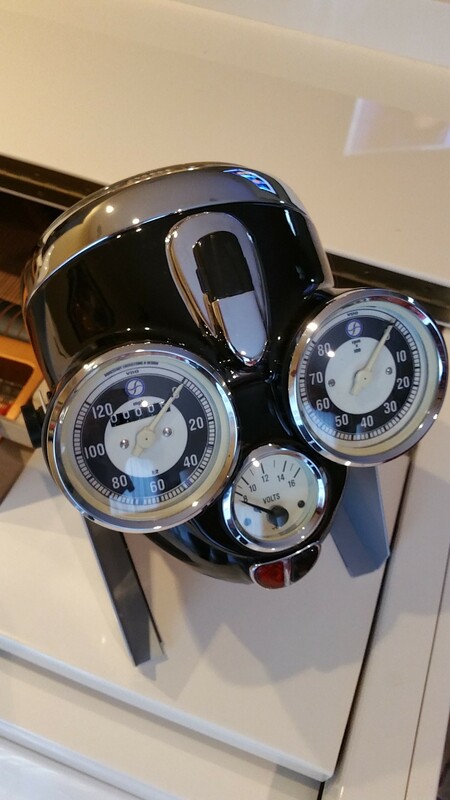 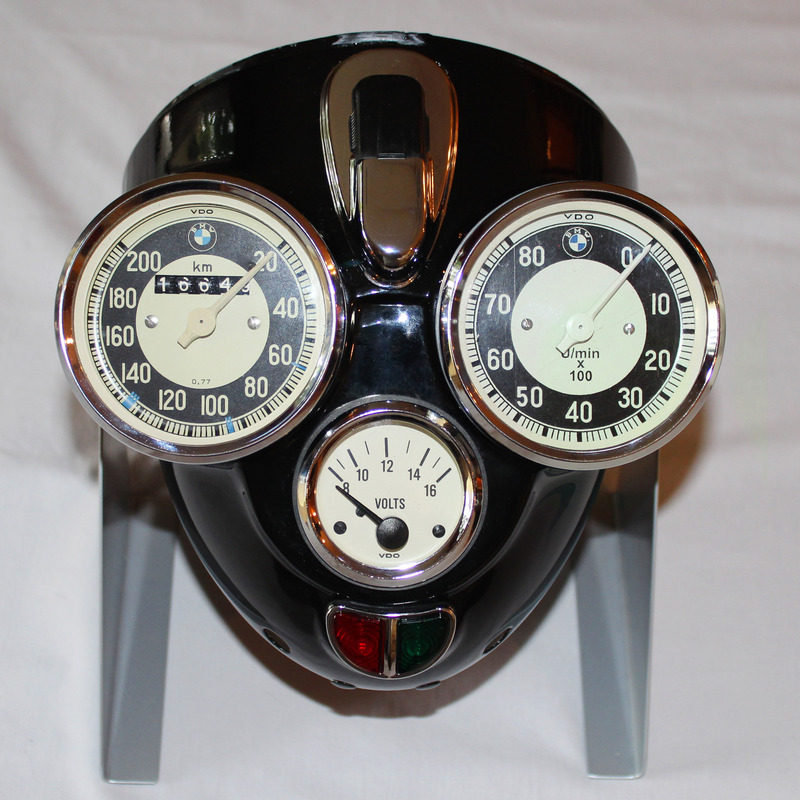 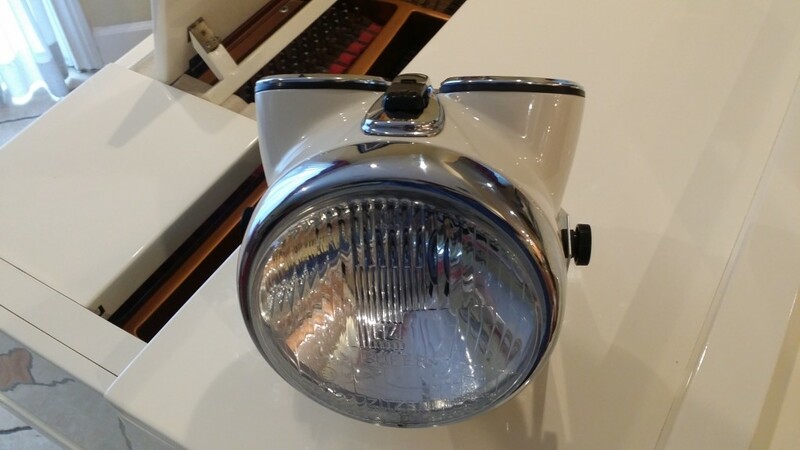 Not everyone wants the 6" diameter early style BMW headlight so I have created a second model, the 8" /6 and /7 BMW shell, which can house two full size 3 3/8" gauges, and is not limited to BMW-only use. 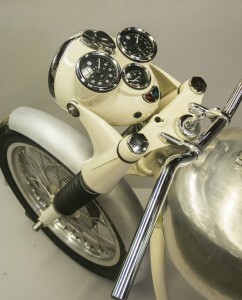 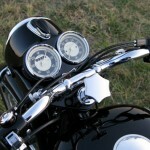 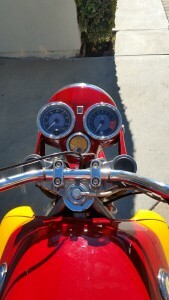 The shell typically carries the ignition switch in the left ear opening, and two styles are offered, one with and one without the enlarged switch opening. 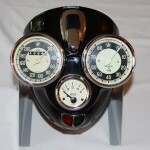 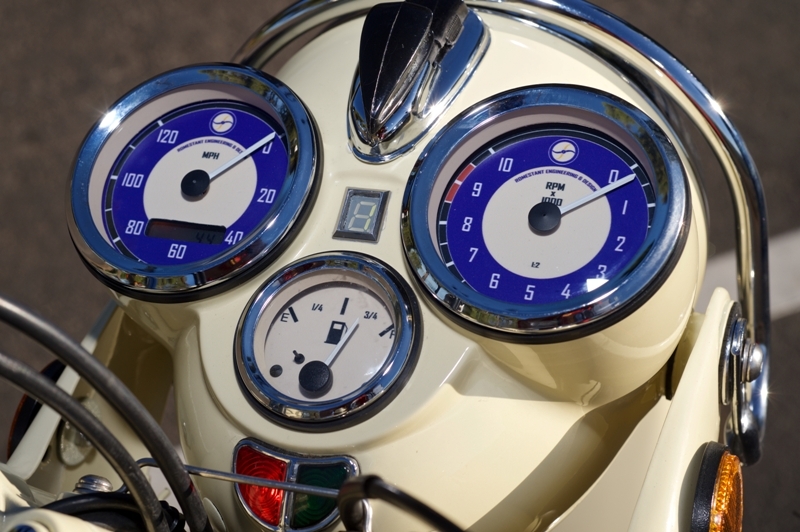 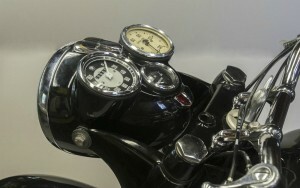 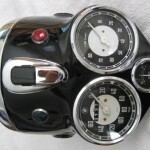 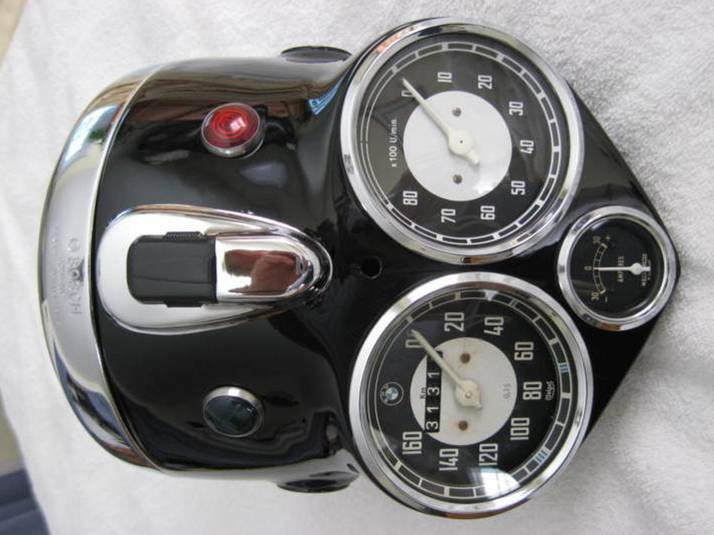 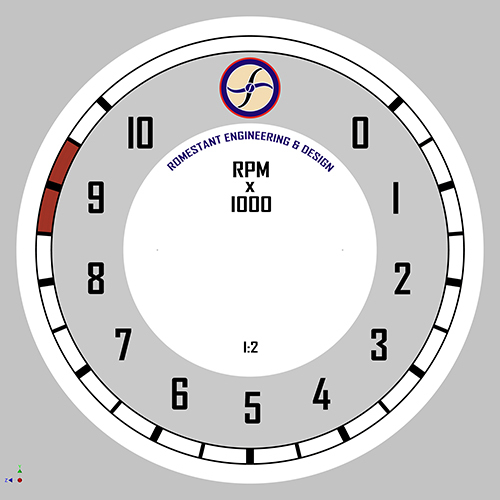 Both shell sizes are offered with a rectangular window cut-out to accommodate the custom gear indicator display for use with all early K-models. 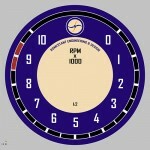 The cutout is dressed with a stainless steel precision machined rectangular bezel. 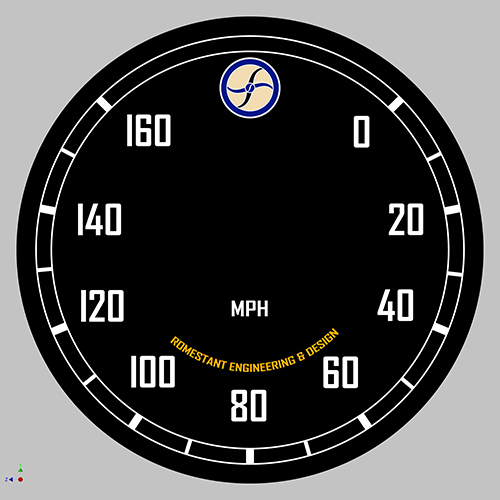 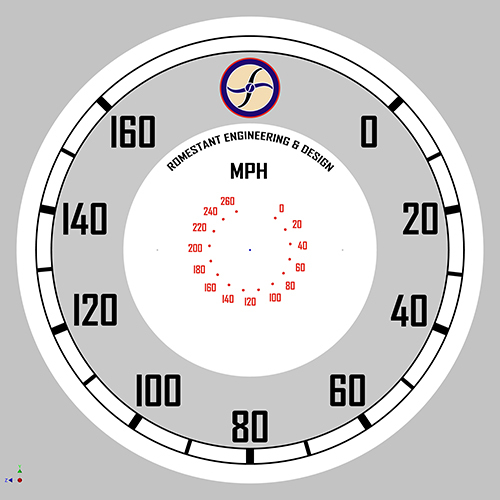 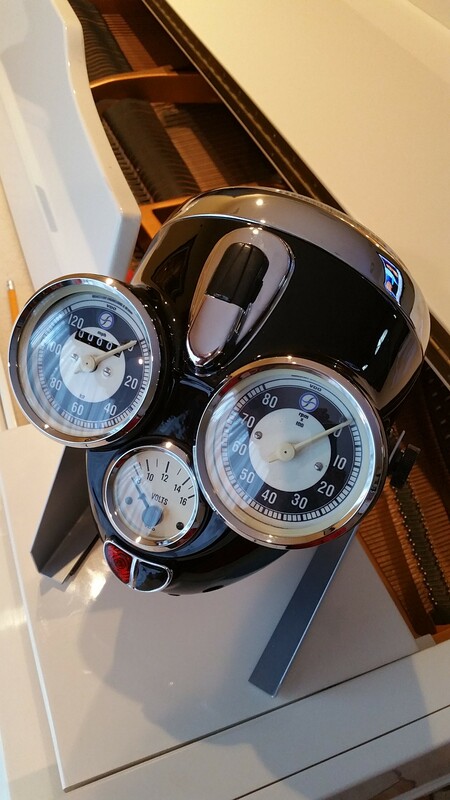 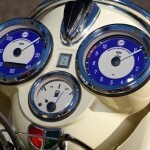 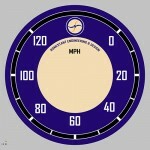 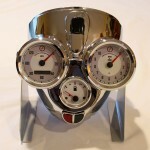 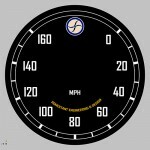 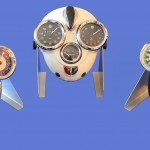 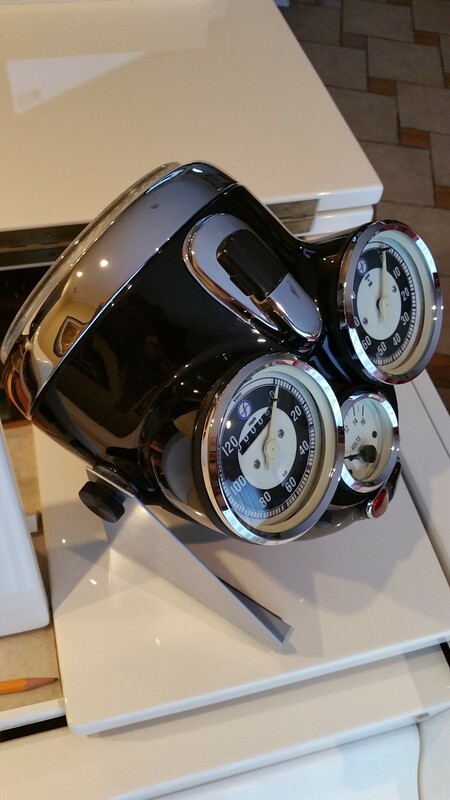 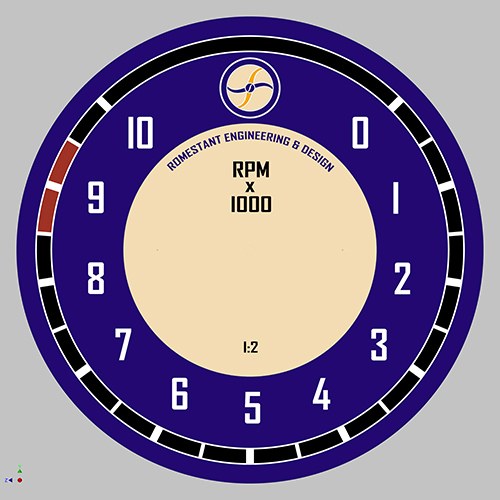 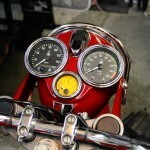 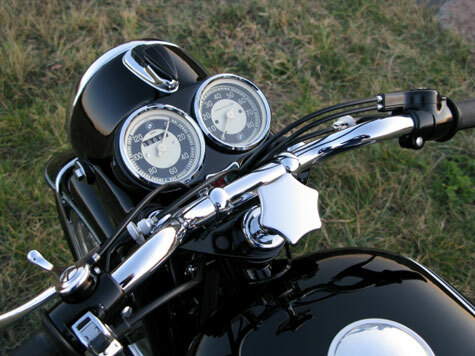 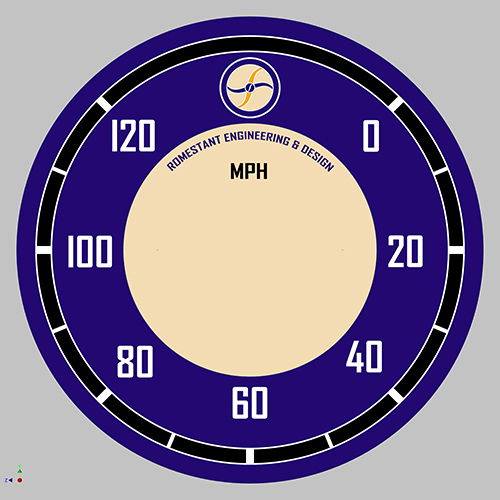 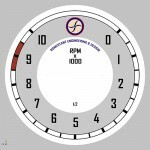 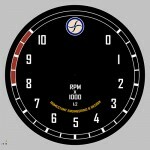 Romestant Engineering & Design also provides high quality unique gauge face artwork so the customization possibilities are endless!